Information about the Open House, August 25th here. 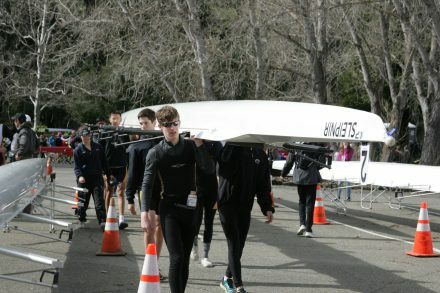 Norcal Crew is a nationally competitive program dedicated to the development of junior athletes through the sport of rowing. We provide a path to guide athletes from their first strokes as novices all the way to elite national and international competition. Many of our athletes come to Norcal without prior experience with any sports. While 99% of our athletes have never rowed before when they first walk through our gates, within a few years they are able to be competitive on the top levels of the sport. In 2017 we had 14 athletes qualify for the youth national championship, 3 athletes represent the United States at the Jr and U23 World Championships in Europe, and over 50% of our seniors class be recruited by D1 University programs. Less rigorous than the development group, the Rec team gives a chance for athletes to build skills and have fun rowing in a relaxed environment. The Developmental program is a non-competitive intramural program designed for 8th graders interested in becoming competitive rowers in high school. Focused on development both on and off the water, this non-competitive program is excellent preparation for 8th graders planning to join the competitive novice team the following year. 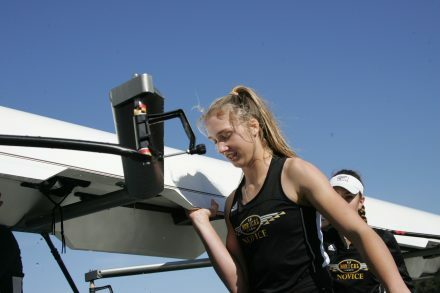 All rowers train and compete as “Novices” during their first year on the competitive team. The Novice team trains five days/week starting in late August, and running through the USRowing SW Regional Championship on the first weekend in May. (with breaks, of course). The novice team trains on a high level, while allowing for the growth, learning, and mistakes that accompany the athletes’ first year competing in the sport. Rowers join the varsity team following their novice year. The varsity team trains six days/week during the school year. All athletes compete locally, with the top athletes also competing nationally. While the training is very rigorous, the team is structured to support the full range from elite athletes to developing athletes aspiring to greatness. Five day camps are a great chance for athletes to get out on the water and try rowing for the first time. Camps are designated for different ages and abilities.